If there is debate about New Zealand's South or North islands being the more scenic, I don't want to join it. The entire tiny country is so picturesque that wherever you go there is something dazzling to look at. It could be white sheep grazing in a green paddock, a placid lake fringed with wild flowers, rolling hills to the horizon, or yet another green paddock where contented cows form a line to shuffle into a dairy farm for milking. Everything is just so damn attractive. It's preposterously unfair. Not that anyone could be annoyed with New Zealand for more than a minute, which makes it a great pity that many international people have never heard of it, let alone know where it is. When I see a weather map on the telly, and there sits New Zealand so small and vulnerable in the great rolling Pacific, it looks as though our giant country could lift out a meaty paw, give our neighbour a friendly pat on the back and send it plummeting to the depths of the ocean. It really does look that vulnerable. Yet it is not. It is gorgeous, easily comparable to Switzerland for scenic thrills, and it's just a three-hour flight way. Having done the South Island recently, it was up North for us, Auckland first, a city on the move judging by the number of cranes, new buildings and general buzz. 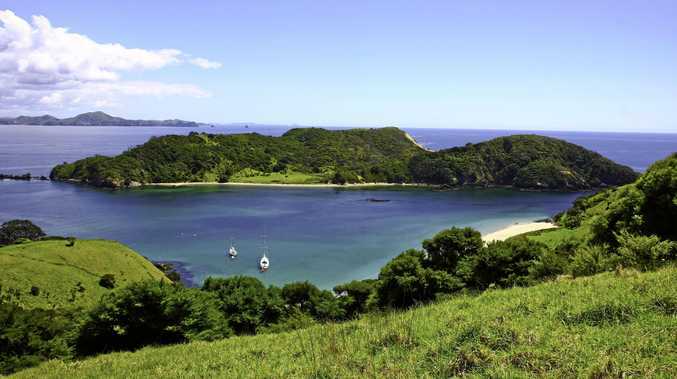 Then a four-hour drive through yet more scenic countryside to the Bay of Islands. Stopping in pretty towns at dairies (we called them milk bars when we used to have them) for a custard tart (a vanilla slice to us, still very popular in NZ) gave us a hint of New Zealand's determination to hang on to the past, apart from the dairy that called itself Indian Bakery & Restaurant, where a curry muffin gave us a kick of a different kind. We arrived in Paihia, small but with a lot going on judging by the large number of apartments, motels and hotels offering good deals. Gateway to the diving sites and the Waitangi Treaty Grounds, which marked the beginning of New Zealand as a nation, Paihia has a busy CBD, and more restaurant, pub and cafe options than you could get to during a week's stay. Most people say the best Bay of Island experience is cruising through the renowned hole in the rock at the tip of Cape Brett, and if you've never done such a thing, it is a small thrill. 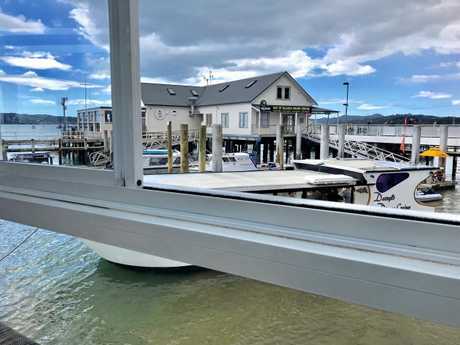 Cruise boats leave Paihia's wharf every day for cruises to suit everyone, including lunch and dinner cruises. At Russell, once known as the "hellhole of the Pacific” for its escaped convict population during the 19th century, more inviting cafes and restaurants beckon along the waterfront. Chartering a boat or letting someone else captain it for you will get you out on the water for a real feeling of why the Bay of Islands is so popular. 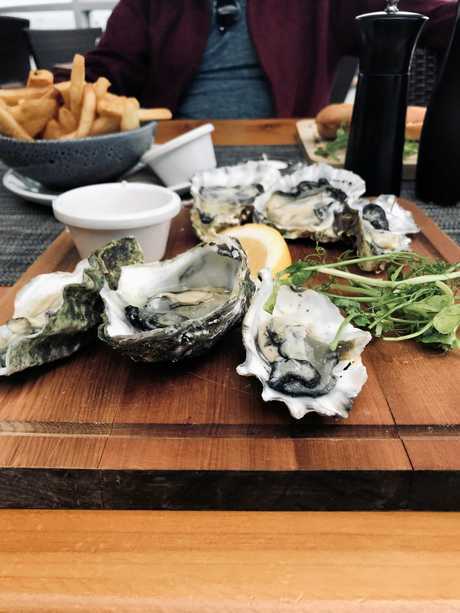 Have lunch at the Zane Grey's Restaurant & Bar out on the deck over the water and watch the stingrays glide beneath you while dining on local (large) oysters and kumara (sweet potato to us) wedges (delicious). If you can fit in the chowder or some green lip mussels then you've had a real Kiwi experience. Take a picnic to one of the secluded beaches after stocking up at the local farmers' market on a Thursday. On the drive back to Auckland, stop in the pretty town of Kawakawa and visit the Hundertwasser Toilets, a public toilet in Gillies St, named after architect Friedensreigh Hundertwasser, who conceived the quirky project as a public toilet. It's now a sculptural work of art and big attraction.